A city kid, Jake enjoyed growing up in a working class neighborhood near the thriving downtown of Troy, New York. A good bus system, a strong small business network, work opportunities for youth and densely populated neighborhoods made for an excellent urban experience. In the late 1960s and early 1970s he saw that downtown dramatically decline until it became a virtual “ghost town.” This experience and his observations of many other American cities led him to an interest in New Urbanism. His interest in urban revival has caused him to read widely on the subject and travel to model cities in the U.S., Canada and Europe. In Lexington, Jake sees a city with a recovering downtown that he thinks can benefit from his life experiences and studies. Jake majored in History and Philosophy at the State University of New York at Brockport. He moved to Lexington in 1978 to study history at UK. He received his Master’s Degrees in History and Library Science. Jake has taught thousands of students history and logic at BCTC (1988 – 2014) and particularly enjoys teaching them critical thinking skills. When Jake came to Lexington in 1978 to accept a graduate school fellowship at the University of Kentucky he lived in the downtown South Hill neighborhood. He later lived in the Aylesford and Kenwick neighborhoods before he and his family found their current home in Bell Court in 1996. On most days Jake can be seen walking to his destinations, giving him a chance to see the 3rd District up close and personal. He walks to the YMCA, to the Bluegrass Community and Technical College (BCTC) where he teaches and downtown for dining and entertainment. Only thunderstorms dissuade him from walking. Jake is the leading expert on the Haldeman-Julius Little Blue Books and is nearing completion of a descriptive bibliography of the 2300 titles in the series.In 2007 he was awarded a research fellowship by the Bibliographical Society of America to facilitate work on the project. 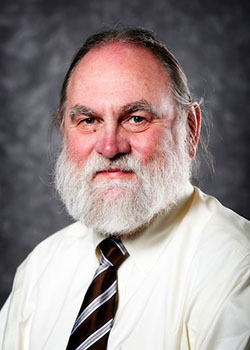 Jake has served as the ombudsman for the Bluegrass Community and Technical College since 2009. His extensive knowledge of the rules of the community college system and his ability to listen and sort through complex issues has allowed him to successfully address the concerns of hundreds of students. While in graduate school Jake washed dishes and waited tables at Alfalfa restaurant. In 1987 the restaurant was in financial distress and the owner decided to sell it. Jake formed a partnership of seven friends and employees to buy the restaurant. They were able to revive the iconic Lexington restaurant which now is in its 41st year of operation. Jake was into local food before local food was cool. In 1988 he began pulling his 1965 Chevy truck up to the Lexington Farmer’s Market and loading it up with Kentucky grown produce. In 2011, the truck gave way to a wagon he wheeled down to the market every Saturday to fill with fresh produce at the Farmer’s Market new downtown location. While no longer an owner of Alfalfa, he still advises his best friend, Jim Happ, who owns it. Both of his daughters have worked there as servers.